About ME - carr-translations Webseite! In 2008, I graduated with an Upper Second Class Bachelor of Arts in French and German Studies (large emphasis on specialised translation methods), from the prestigious Warwick University. In 2011, I graduated with a merit grade for my Master of Arts in European Governance and Politics from the University of Sheffield. 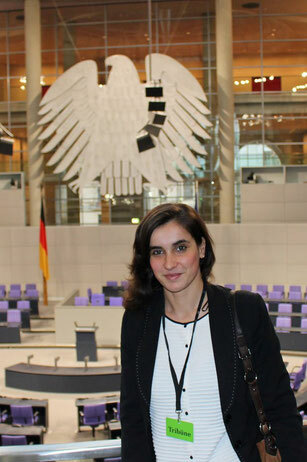 Since graduating from University, I developed practical knowledge of translating and proofreading from German into English during my time working for an energy sustainability charity, Forum for the Future, as well as for educational charities and most recently during my part time role as an International Scholar Advisor at the Humboldt Universität zu Berlin. I have been working as a freelance translator since January 2013 and I am an active member of the Bundesverband der Übersetzer und Dolmetscher BDÜ (Federal Association of Translators and Interpreters). I actively enhance my knowledge of translation methods, the sectors for which I work as well as my CAT tool, Trados Studio 2017, by regularly attending conferences and networking events.